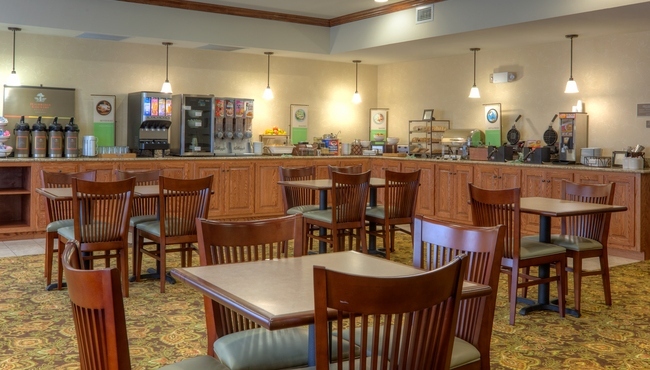 Fuel up before a day at Kings Dominion with selections from the complimentary, hot breakfast at the Country Inn & Suites, Ashland - Hanover, VA. Pile your plate high with fluffy waffles and crispy bacon, or opt for lighter fare like yogurt and cereal. When it's time for lunch or dinner, try one of the many nearby restaurants like Homemades by Suzanne and Trackside Grill. Sat-Sun and Holidays, 6:00 a.m. - 10:00 a.m.